Have you ever thought about the amount of pressure someone might be under, when that particular person is forced to play the drums, whilst at the same time other people are attempting to knock their block off? No? Me neither – unlike Director: Richard Lester; and Actors: The Beatles, Leo McKern, Eleanor Bron, Victor Spinetti and Roy Kinnear. But only in 1965, and for 91-minutes. Poor Ringo Starr. All he wanted to do was play music with his pals ‘The Beatles’. But guess what happens to him instead? Go on – you’ll never guess! He is sent a ring in the post, he wears it, and then he cannot take it off. Now this isn’t Ringo’s only problem though, oh no, because unbeknownst to him at the time, this ring belongs to an eastern cult, whom sacrifices whoever wears this ring to their God, Khali, so as to praise this deity. Pretty bad news, right? Worst still, is that on numerous occasions this cult try their utmost to chop Ringo’s block off, just to carry out this ritualistic task. Still, thank ‘Lennon’ that the Beatles are by Ringo’s side, just to aide him at every move they make, to stop them from committing this holy deed. Moreover, one of the cult’s worshipers, Ahme (Elena Bron), also tries to help Ringo’s too – as well as to inform him of the ring’s true origins. So what do you think that Ringo and the Beatles do next, to get him out of this plight? Play a song or two? Yes – they do that – but in addition to this, they also attempt to remove this ring from Ringo’s hand. First, at a Jewellers – which does not do him any good. And after that, by a couple of scientists (Victor Spinetti and Roy Kinnear) – which does not do him any better either. You see, the two scientists in question, can see a lot of potential in Ringo’s ring. And although they want to take if off him – which he does too – they can’t – and that is why, like the cult, they likewise start hounding the Beatles for this ring to boot. However, the Beatles will not take all of this lying down – no way. So after a couple of more attacks are made on their person, they then go to Scotland Yard, thus prompting the police to intervene in this matter. Still, does this do them any good? As can the police pounce on these poor pricks? Err – kind of – because what next transpires is a right one legged swimmer I can tell you. As there’s anarchy with the army – pandemonium in the pub – a riot in a royal household – and it all goes banana’s down in the Bahamas. 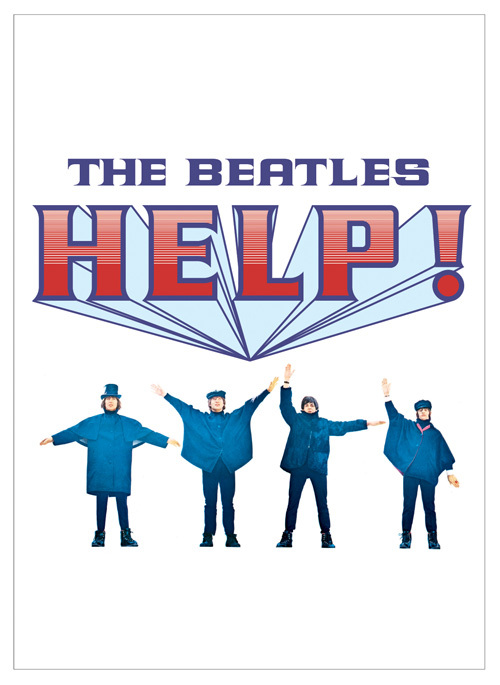 OK, so after ‘A Hard Day’s Night’ (click here for the review), the Beatles were then contractually obliged to make two more movies – with ‘Help’ being their second offering. Still, was ‘Help’ a helpful film to help them out in their careers? Or alternatively, did ‘Help’ help movie goers like the Beatles more so? Let’s look at the facts shall we: (1) John Lennon wrote the song ‘Help’ because at the time he felt fat and confined within the Beatles – and he needed some… err… help. (2) George Harrison was introduced to the sitar on the set of this film – a fact which he remembered when the Beatles wrote ‘Norwegian Wood’. (3) John Lennon assisted Victor Spinetti to write a stage play called ‘In His Own Write’. Plus he was also in all of the Beatles films too – thanks to George Harrison's Mum. (4) The swimmer in this film was the Beatles roadie, Mal Evans. (5) The scenes in the Bahamas – which comes at the end of the film – were the first scenes to be shot. (6) According to Ringo in ‘The Beatles Anthology’, he and the rest of the guys were stoned out of their faces whilst making this film. (7) The director, Richard Lester, saw potential in John Lennon’s acting ability whilst making this movie – which is why he then asked him to star in another film he was making ‘How I Won the War’. (8) John Bluthal worked quite a lot on television with one of John Lennon’s most favorite comedians, Spike Milligan – in his ‘Q’ series. (9) Eleanor Bron was a comedienne who rose to fame working with John Lennon’s other favorite comedians, Peter Cook and Dudley Moore, as well as being the inspiration for Paul McCartney’s ballad ‘Eleanor Rigby’. 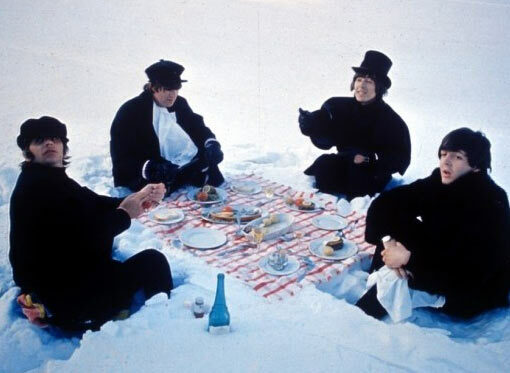 And (10) There is a lot of other little bits of fan trivia scattered throughout this film, such as the ‘Hard Day’s Night’ theme being used as background music, as well as the comic books ‘Superman’s Pal: Jimmy Olsen’ and ‘Superman’s girlfriend: Lois Lane’ displayed in the Beatles apartment. Now with all of that out of the way with, does this make ‘Help’ a good film or a bad film in retrospect? Err – no comment – I’m going to be biased anyway – because I just love the Beatles. But what I will say is that even though ‘story wise’ this is a one note movie – with a jovial pretext that is very repetitive in nature – it still is a really fun film to kick back and watch. You see, unlike some of the other Beatles movies made, I found this one to be like a live action cartoon – with everyone in it either hamming it up, having a laugh, or not taking the whole project too seriously. Moreover, because of this light tone, it inadvertently rubbed off onto the presented script – thus making the whole thing somewhat farcical in nature. OK, so this can be both a good thing and a bad thing overall. But still, that does not necessarily make it an awful thing – as it does have a lot of great stuff in it. Please note, in my biased opinion this is a fab movie, and definably for fans of the fab.